Dave Renner, CAE, has served as MAFP’s legislative representative for many years. Throughout session, Dave sends updates to keep us posted on what is happening legislatively and how it affects family physicians. Below is his first report to kick off the new session. Enjoy! The 2019 legislative session began on Tuesday, January 8, with a new DFL Governor, Tim Walz, who will bring a new inclination and energy toward bipartisanship; new Speaker of the House, Rep. Melissa Hortman (DFL-Brooklyn Park); DFL controlled House with almost 30 percent of reps serving their first term; and Republican controlled State Senate. What Will Be the Focus of the 2019 Session? The major task of the 2019 legislative session will be crafting a biennial budget. In December, it was announced that the state has a surplus of more than $1.5 billion. While clearly good news, the total surplus figure is a bit misleading—that figure does not factor inflation into spending projections, and the likelihood of an economic slowdown in the coming years. Which Healthcare Issues Will Be Addressed? The dominant healthcare debate during the 2019 legislative session is likely to be the scheduled repeal of the provider tax at the end of the year. Governor Walz and House DFLers have indicated their support for the extension of the tax to preserve funding for MinnesotaCare, Medical Assistance and other health access and public health measures. DFLers also hope to advance a measure to allow all Minnesotans to purchase MinnesotaCare, though Senate Republicans have strongly opposed the measure in recent sessions. Who are the Physicians in the MN Legislature? Newly elected: Rep. Alice Mann (DFL – Lakeville), an MAFP member, defeated a Republican incumbent. She will serve on both key healthcare committees and is the Vice Chair of the Health and Human Services Finance Division. Newly elected: Rep. Kelly Morrison (DFL – Deephaven), an OB/GYN, narrowly defeated a Republican legislator who was known for her vocal skepticism of immunizations. Sen. Scott Jensen (R – Chaska), an MAFP member. Sen. Matt Klein (DFL – Mendota Heights), a hospitalist at HCMC. What are MAFP’s Legislative Priorities? The MAFP Legislative Committee, co-chaired by Lauren Williams, MD, and Jeremy Springer, MD, has developed priorities for 2019, with input from members. The first priority relates to prior authorization hassles. The MAFP will support initiatives that ensure prescribers receive alternative options in real time when a medication is denied and support initiatives to stop health plans from changing drug formularies mid-year for patients who have started a drug therapy. The second priority is focused on ensuring ongoing, stable funding for healthcare safety net programs. The current 2% provider tax is scheduled to be repealed at the end of 2019 and no alternative funding source has been identified. The MAFP supports efforts to find alternative funding sources for the Health Care Access Fund. The programs funded by the Health Care Access Fund are vital and the MAFP is committed to their preservation. 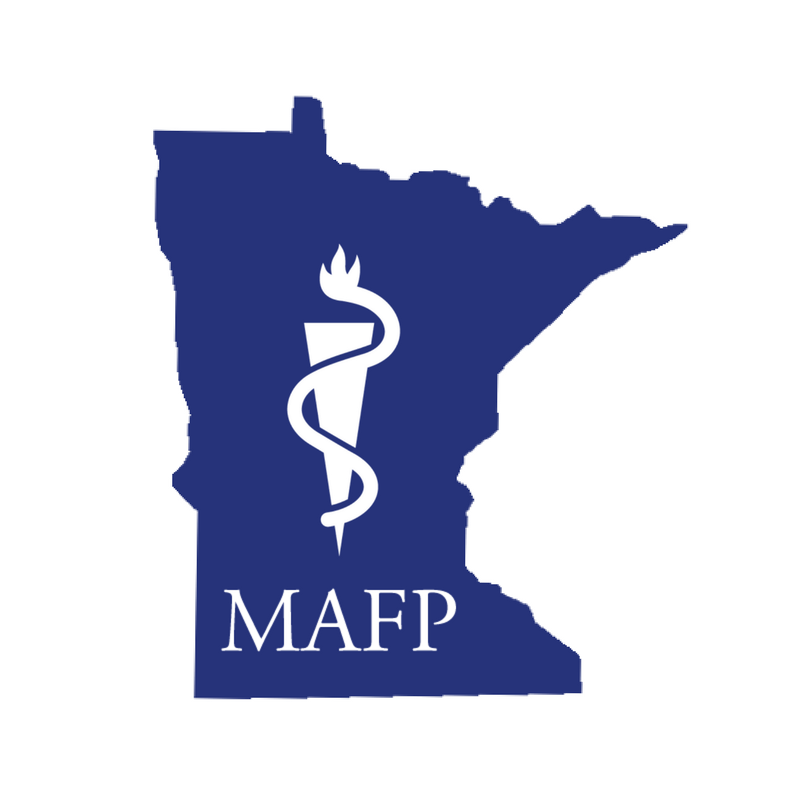 The MAFP will continue to work on ensuring an adequate supply of family physicians throughout the state, as well as ensuring sufficient spending on primary care services. Through the House of Delegates, MAFP members identified numerous other issues of importance. MAFP will be monitoring those with a possible legislative component, including immunization policy, prescription drug pricing, gun violence prevention, efforts to address the opioid crisis, access to direct primary care and more. MAFP will be advocating positions and partnering with others to take action when appropriate. Ready to Engage Your Legislators? Jami Burbidge, MAFP director of member engagement, can help you schedule a meeting with your legislator, either at the Capitol or in your community. This is critical to ensure that the MAFP voice is heard on issues that matter most to family docs. Email Jami to arrange a meeting or learn other ways you can get involved this session.